I blame the Muddy Buddies. 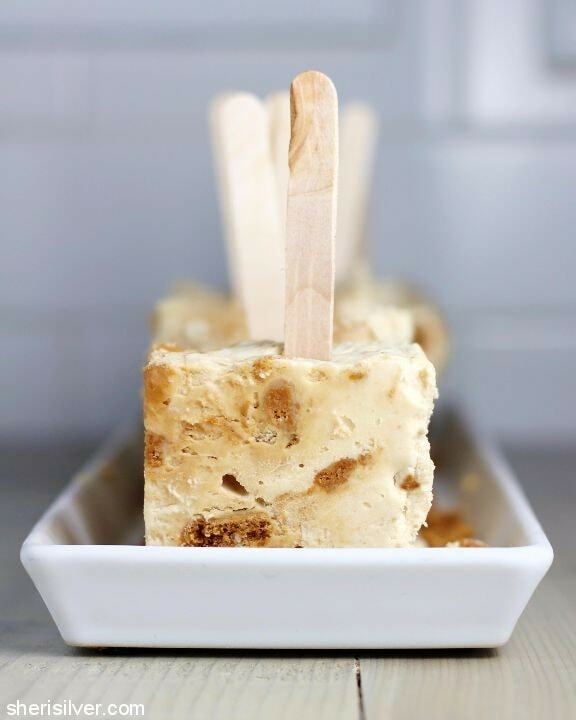 When I made those Biscoff popsicles last year – even though I doubled up on the cookie butter – I knew I could do better. They were still too “yogurt-y” for my liking, and something was off with that cookie coating. In addition, over the past year I’ve become quite enamored with Biscoff spread – and have been thinking about all kinds of ways to use it. So there were the hamantaschen, followed by the marshmallows, and then the Muddy Buddies – all with such lovely “cookie butter” flavor – and I knew I had to revisit those pops. I decided to go with my original idea – using a 2-ingredient, no-churn base – and go WAY up on the Biscoff. I settled on one cup – half folded right into the base, and the other half swirled in. As for the cookies? I folded those in too – for a softer “bite”, and more even distribution throughout. 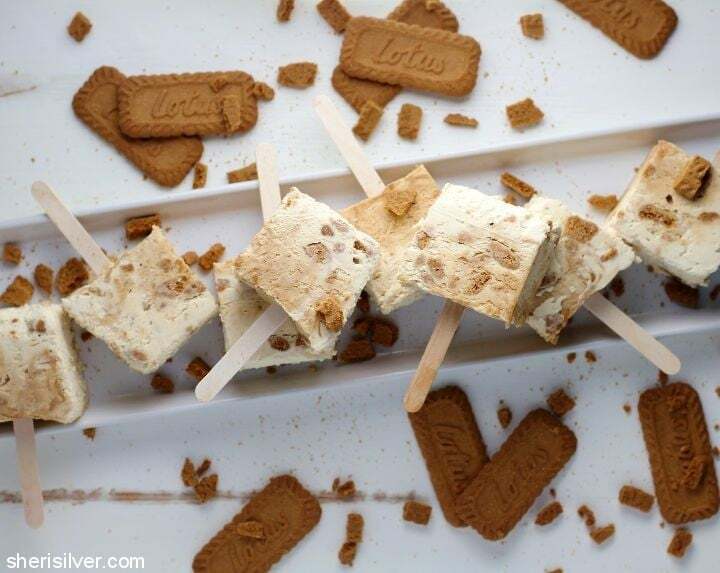 Having been burned recently by using this no-churn base in my popsicle molds – only to have the pops come out in pieces (sad face), I decided to make these in a loaf pan. This worked out really well with those cookie monster pops and I’d been wanting to try it again since. 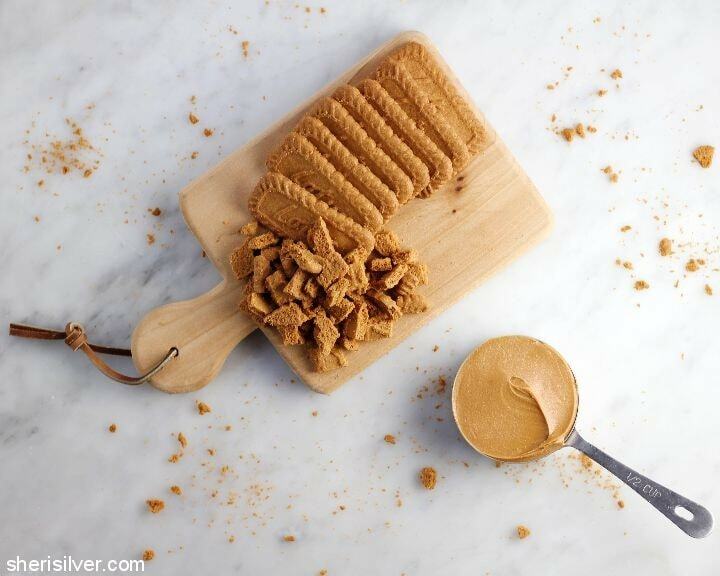 Do you love cookie butter too? Spray a 9″ x 5″ loaf pan with non-stick cooking spray; line with plastic wrap in both directions, leaving an overhang on all sides. Whip the heavy cream in your electric mixer till stiff peaks forms. Meanwhile stir 1/2 cup Biscoff spread with the sweetened condensed milk and chopped cookies in a large bowl. 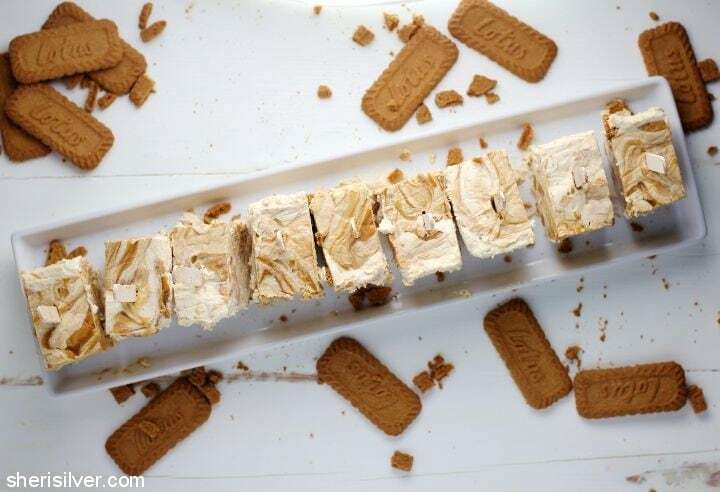 Melt the remaining 1/2 cup Biscoff spread in your microwave (30 – 40 seconds). Fold 1/3 of the cream into the condensed milk mixture, to lighten it a bit. Then add the remaining cream and fold till smooth and fully incorporated (be careful not to overmix). Transfer half of the mixture into your prepared pan – drizzle with half the melted Biscoff spread. Repeat with remaining ice cream and spread; swirl with a knife to incorporate. 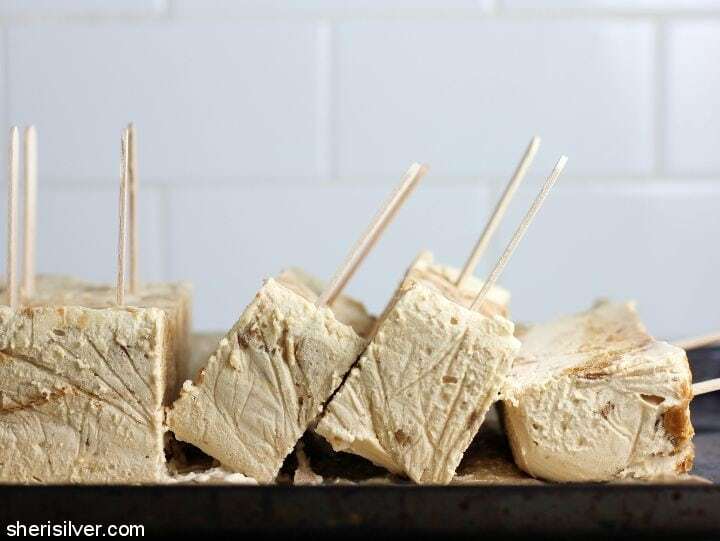 Cover with plastic wrap, making sure the plastic touches the surface of the ice cream, and place popsicle sticks in at evenly spaced intervals (the easiest way to do this is to make tiny incisions in the plastic with a small sharp knife). Freeze overnight. 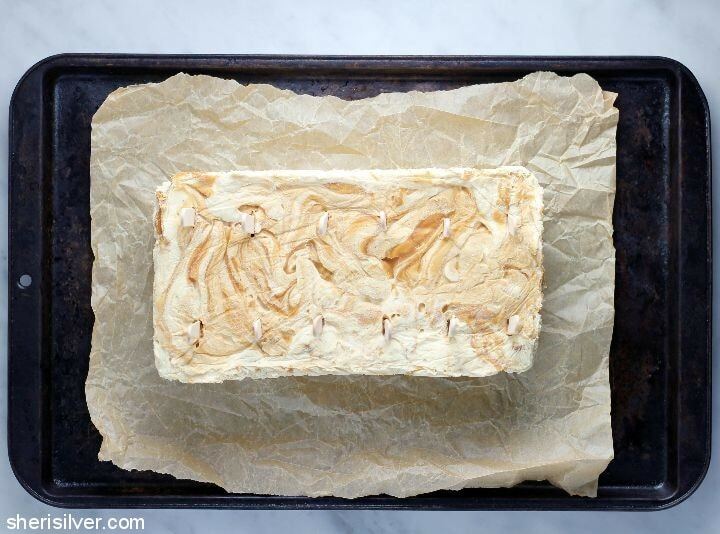 To remove the ice cream, run the sides of the pan under warm water and, using your sling to assist, carefully lift the “loaf” out of the pan and transfer to a cutting board. Cut into even slices and return to freezer till ready to serve. Check out my Popsicles pinterest board for more great ideas!